Rhino News, etc. : Need a violin? 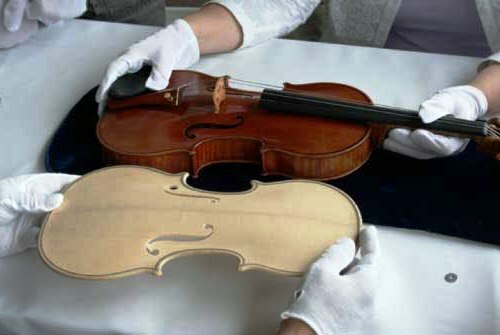 Make a Stradivarius. Need a violin? Make a Stradivarius. Steven Sirr, M.D., a radiologist at FirstLight Medical Systems in Mora, Minnesota presented a scientific paper at RSNA 2011, the Radiological Society of North America’s Scientific Assembly and General Meeting, on how CT scanning offers a unique method of noninvasively imaging a historical object. Working together with professional luthiers John Waddle and Steve Rossow of St. Paul, Minnesota, they used a CT scanner and Rhino to reproduce a 1704 Stradivari violin.